CE certified, price includes power back gauge, rapid blade gap adjustment, hand movable foot pedal, ruled squaring arm and front supports, cutting line illumination. Complete with power back gauge, with digital readout, brake motor and gear reduction box, single or multiple cutting, squaring arm, front supports, and optical rear guard. 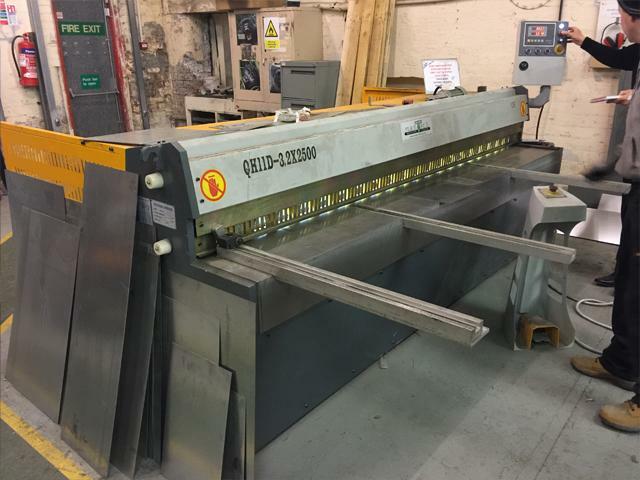 Metal Guillotines provide a fast and convenient method of cutting sheet steel. Advantages of this type of cutting machine are that the cuts are clean, straight, and square. Metal guillotines are also known as plate shears, power shears, or sheet metal shears. 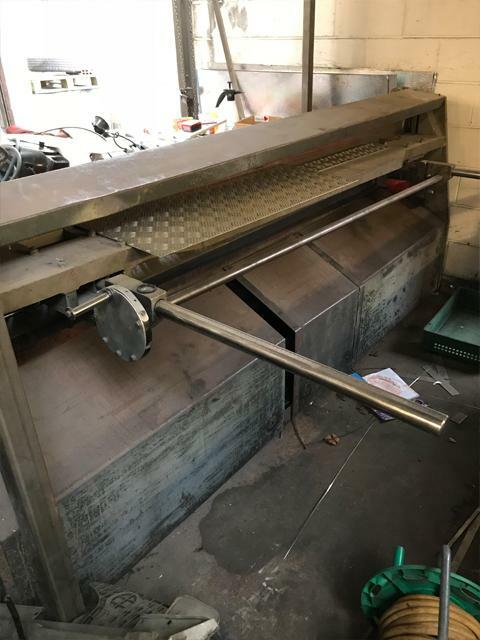 The "shear" of a metal guillotine refers to the angle of its blade, which facilitates a slicing action as the machine cuts, rather than a chopping action. This allows the machine to create far cleaner cuts whilst keeping power efficiency at a maximum. The shear, or blade angle will vary from machine to machine depending on the thickness of material it is set up to cut. 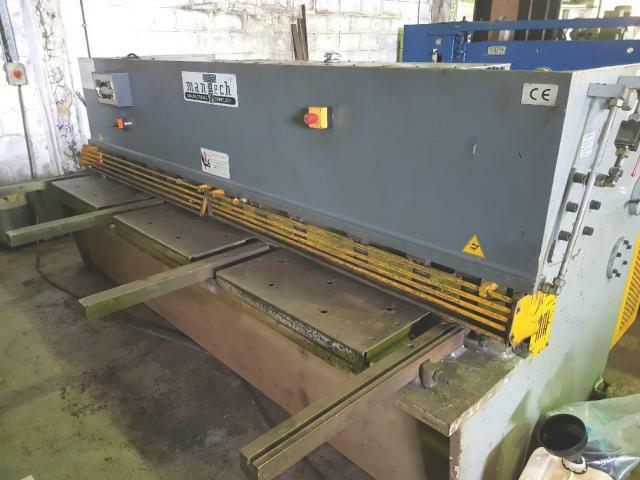 The sheet metal is held in place during the cutting process by hydraulic pressure or a mechanical clamp, this ensures that the work piece cannot move whilst the blade is in action. 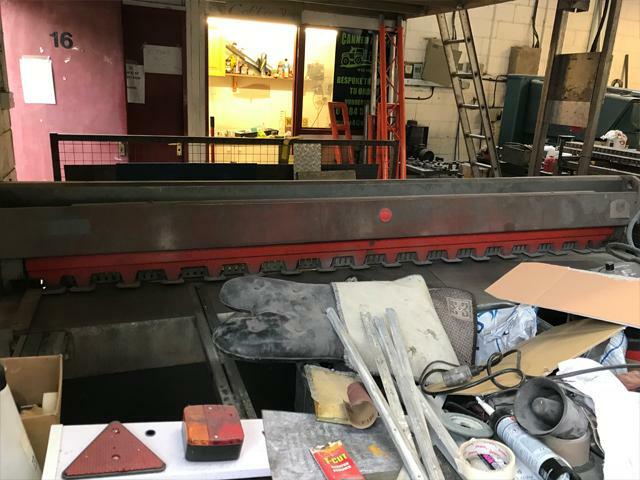 The machine then cuts using a scissor action, the upper blade slices downwards whilst the lower blade, which remains stationary, is fixed to the bed of the guillotine. A back gauge provides the ability to cut precise lengths of sheet steel. 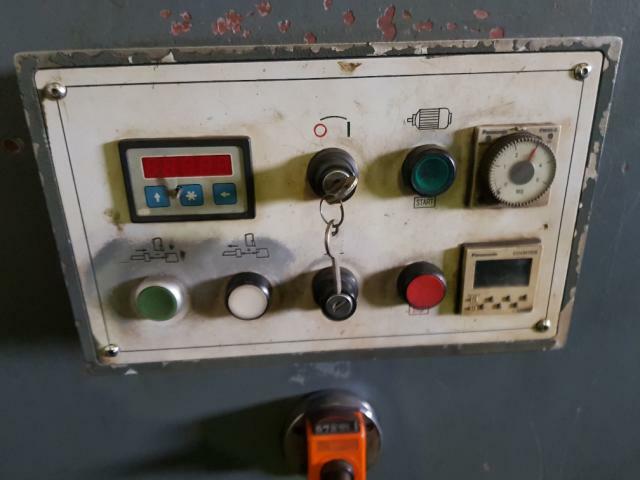 Some metal guillotines are fitted with a computerised numerical control unit, (CNC) this allows the back gauge, brake clearance, and rake angle to be quickly adjusted, according to the type of material to be cut. Often a number of cutting presets can be stored, making CNC an ideal choice for those who tend to use one machine for cutting several types of metal.